The Saskatchewan government says it has experienced a "malicious attack" on its computer systems that is causing sporadic outages to the province's website. The Saskatchewan government says it was the subject of a "malicious attack" on its computer systems last Friday, which was causing sporadic outages to the province's website into Monday. Some 150 countries have been affected by ransomware attacks over the past week. 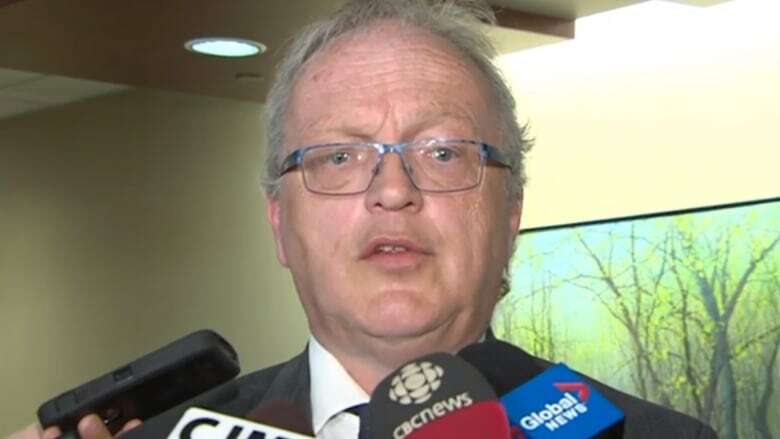 ​Richard Murray, the province's deputy minister of Central Services, said technicians have been working through the weekend in an attempt to resolve the issue. He described Friday's attack as a denial of service on the province's website. There have been internal issues as well, such as the government's internet connection going out. The government's website was back up and running as of Monday afternoon. "So we're holding down the fort here for the moment," Murray said, adding that the government is preparing for a potential further wave of attacks. The government has all of its data backed up and could restore those files, if necessary, Murray said. "Personal information [is] very well protected," he said. Government services — aside from "minor glitches" — have been operating uninterrupted, Murray added. The affected systems are related to the province's courthouses, agriculture systems and ministries, such as Central Services and Justice. Ransomware is a malicious software that infects computers and encrypts files, rendering the data inaccessible until a fee is paid. Murray said the Saskatchewan government has not yet confirmed whether the attack it experienced is a WannaCry attack, which has affected 150 countries over the last week. "We have not yet received a ransom request," Murray said. The attack could be related to WannaCry, he said, but it could be entirely unrelated.